It may not be news to say that the 2014 lieutenant governor’s race provides Texas voters with a stark contrast in political ideologies, but now the numbers back it up. 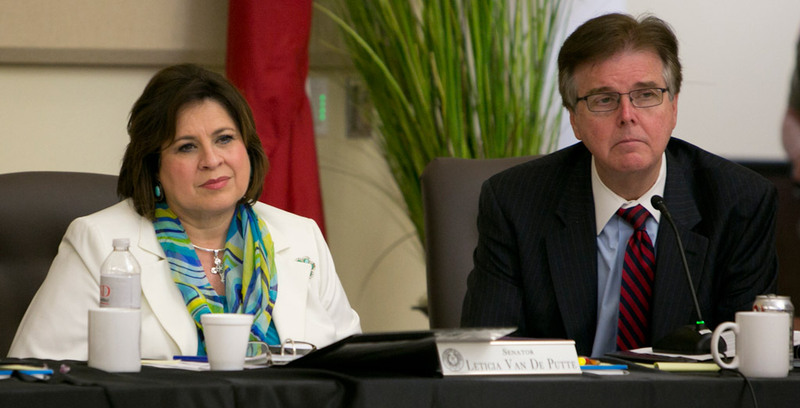 The two main candidates in the race, Democrat Leticia Van de Putte of San Antonio and Republican Dan Patrick of Houston, have served together in the Texas Senate for several years, allowing for a direct comparison of their position on the liberal-conservative spectrum based on their observed roll call vote behavior. Analysis reveals that Patrick, who was elected in 2006, and Van de Putte, who was elected in 1999, occupy very different ideological positions, with Patrick at the conservative end of the Senate’s ideological continuum and Van de Putte the quintessential median Senate Democrat. I use a Bayesian joint scaling methodology developed by Stanford University professor Simon Jackman to locate Patrick, Van de Putte and their Senate colleagues on the liberal-conservative dimension along which most legislative voting in Austin takes place. Altogether, 3,011 non-lopsided roll-call votes cast between Jan. 9, 2007, and Aug. 5, 2013, are included in the analysis. The figure provides each senator’s median ideal point (his or her Lib-Con Score) and the 95 percent credible interval (CI) for this point estimate. While all senators who served during the 2007-09, 2009-11, 2011-13 and 2013-15 legislative periods were incorporated in the initial analysis, the figure includes the Lib-Con Scores and CIs (arrayed from most liberal on the left to most conservative on the right) only of those 29 senators — 18 Republicans (red circles) and 11 Democrats (blue circles) — who were in Austin for an absolute majority of the legislative sessions (i.e., three or four full legislative periods) between 2007 and 2013. The figure shows that for the 2007-13 time frame, Patrick was the most conservative of these 29 senators. Patrick’s 95 percent CI does not overlap with that of any other senator, indicating that his location on the ideological spectrum was significantly more conservative than that of every other senator who served three or more terms between 2007 and 2013. That is, even the voting records of the three most conservative other senators in the figure — Chris Harris, R-Arlington; Robert Nichols, R-Jacksonville; and Jane Nelson, R-Flower Mound — were significantly less conservative than Patrick’s. If we expand the comparison population to include all of the Republican senators who served at least one period between 2007 and 2013 (27 total), Patrick’s overall voting record makes him the second most conservative state senator after Brian Birdwell, R-Granbury, and significantly more conservative than every Republican (and, of course, every Democrat) other than Birdwell and three 2013 Republican freshmen. Van de Putte’s roll call voting record between January 2007 and August 2013 puts her exactly in the middle of the 11 Democrats who served three or more terms during this period. Four of these 11 Democratic senators had voting records that were significantly more conservative than Van de Putte’s: Eddie Lucio Jr. of Brownsville, John Whitmire of Houston, Carlos Uresti of San Antonio and Juan “Chuy” Hinojosa of McAllen. Conversely, two senators’ records were significantly more liberal than that of Van de Putte (Rodney Ellis of Houston and Kirk Watson of Austin), a number that rises by three to five if the comparison population is expanded to include all 14 Democratic senators who served at least one period between 2007 and 2013. If a name and face were ascribed to the center of the Democratic Party delegation in the Texas Senate over the past eight years, it would likely be Van de Putte’s. U.S. Sen. Ted Cruz, R-Texas, has challenged pundits and establishment Republicans who say the GOP must nominate moderate conservatives to win competitive elections. Cruz proposes that the recipe for Republican success lies in candidates running as unabashed conservatives, not by tacking toward the center. In the May 27 runoff to determine this fall’s GOP lieutenant governor nominee, Texas Republican primary voters appeared to have sided with Cruz in the debate, voting for Patrick over his more moderate — albeit still quite conservative — rival, Lt. Gov. David Dewhurst, by a nearly 2-to-1 margin. This fall’s lieutenant governor race will provide a critical test case for the Cruz thesis. 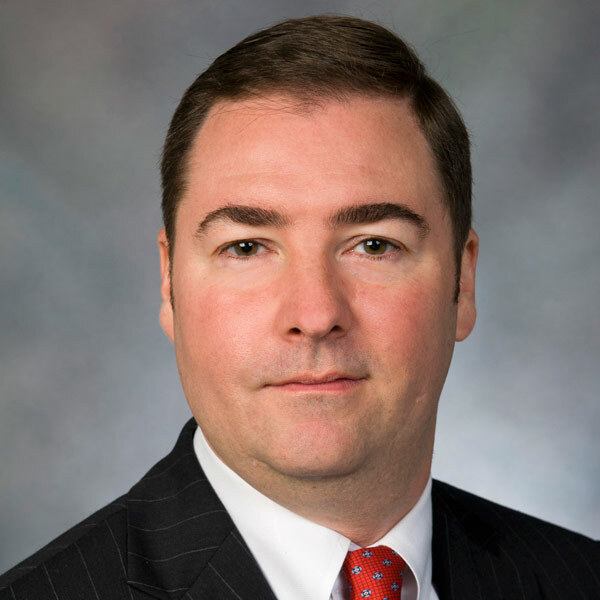 On the Republican ticket, voters will find in Patrick a movement conservative with a voting record that puts him on the conservative edge of the Texas GOP. On the Democratic ticket, voters will find in Van de Putte a candidate with a voting record that puts her squarely in the middle of the Texas Democratic road. If Cruz’s thesis is correct, we should expect Patrick to win by a very comfortable 12 to 15 points. But if the pundits and establishment Republicans are correct, the race could be much closer, albeit with Patrick still the odds-on favorite.